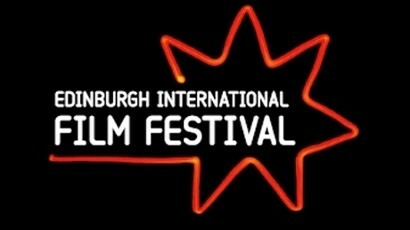 Last year’s Edinburgh International Film Festival was, for all intents and purposes, a complete shambles. Festival director James Mullighan was roped in at the last minute when the search to replace Hannah McGill went sour and the festival had a distinct lack of energy compared to previous years. Whether that was down to the poorly run press department, absurd choice of venues or Mullighan himself is anyone’s guess. This year, however, things seem to be looking up for the world’s oldest continually running film festival. Not to sound too optimistic or anything but, thanks to a organised press team (kudos must be paid to Organic Marketing), the reinstating of both the awards and the acclaimed retrospective strand and an enthusiastic, focused and experienced artistic director in the form of Chris Fujiwara, this year’s instalment, taking place in the beautiful city of Edinburgh from June 20 – July 1, may well find the festival firmly back on its feet. Now that the behind-the-scenes aspects have been solidified, focus shifts onto the programme itself. While we already know what will open and close the festival (Killer Joe and Brave, respectively), and that the retrospective will be dedicated to little-known yet highly regarded Japanese filmmaker Shinji Somai, the full line-up won’t be announced until a later date, specifically May 30. Backed by U.K. production houses Film4 and Protagonist Pictures, The Imposter is a documentary about a young Frenchman who, through trickery and fabrication, convinces a Texan family that he is their long-lost son. Hailed by many critics as one of the films of the year, Bart Layton’s film looks to expose the act of identity theft. With a U.K. release scheduled for August 24, this seems like a safe bet. Winner of the Golden Bear at the 62nd Berlin International Film Festival earlier this year, Caeser Must Die wowed audiences and critics alike and was subsequently picked up by New Wave Films for U.K. distribution. The film tells of a group of prison inmates who strive to put on a performance of William Shakespeare’s Julius Caesar. Directed by Jim Field Smith, Butter premiered at last year’s Telluride Film Festival to relatively lukewarm reviews. Backed by The Weinstein Company, however, the film, which centers on a unsuspecting butter carver, looks to have a chance at cracking this year’s awards season when it hits US cinemas in October. It may, however, be held back for the London Film Festival in October. Michelle Williams, Seth Rogen and Sarah Silverman star in Sarah Polley’s dramedy in which a married woman falls for the artist who lives across the street. Saluted by critics, Take This Waltz appears to strike the right balance between comedy and drama and showcase an altogether different side of funny man Rogen. Francis Ford Coppola’s attempt at a horror-thriller wasn’t received well by critics, and seemed to drop off the map after its premiere at the Toronto International Film Festival last year. Could this tale of a writer’s sudden interest in a small town’s murderous past starring Val Kilmer and Elle Fanning fare better in front of a Scottish audience? We’ll have to wait and see. Rising star Craig Roberts hit the big time last year with Richard Ayoade’s heartwarming and quirky Submarine. Comes A Bright Day, from writer and director Simon Aboud, sees him in a romantic thriller set during the armed robbery of an elusive London jewellers. Featuring a British cast and a kooky premise, Comes A Bright Day seems perfect for the summery feel of the Edinburgh International Film Festival. Felicity Jones and Luke Treadaway star as former lovers in this period-set British drama. As Dolly Thatcham (Jones) arrives at her wedding venue, the day is jeopardised by the arrival of her past flame who throws her feelings into turmoil. Critics at the Tribeca Film Festival praised Jones’ performance and labelled this a kindhearted, malleable distraction. After the success of last year’s R-rated comedy Bridesmaids, many expected Bachelorette, which stars Kirsten Dunst, Isla Fisher and Lizzy Caplan as bridesmaids to Rebel Wilson’s bride-to-be, to further the advancements of female-lead films. Unfortunately, it didn’t do much for critics, who mostly labelled it “nasty” and “unfocused”. Still, it’s frisky nature makes it a solid pick. One of the true success stories of this year’s Sundance Film Festival, Wish You Were Here received remarkable reviews from critics and features a cast of actors on the cusp of big things, not least Joel Edgerton and Teresa Palmer. The film focuses on the mysterious disappearance of Jeremy (Anthony Starr), who was last seen on a carefree South-East Asian holiday with three friends. Australian actor Kieran Darcy-Smith’s directorial debut promises perplexity and drama in droves. Quentin Dupieux’ follow-up to the uniquely screwy horror-comedy Rubber centres on a man’s quest to find his lost dog. Featuring a cast including William Fichtner and Jack Plotnick, Wrong attracted favourable reviews when it premiered at Sundance earlier this year and seems a strong fit for the festival’s new, markedly edgy direction. Who knows if any of these films will make their way to Edinburgh. But, without a shadow of a doubt, this year will be an interesting one as the programmers try to make up for last year’s errors and deliver on their mission statement: to discover and promote the very best in independent cinema. To keep up-to-date with all things Edinburgh International Film Festival, including the latest news and announcements, make your way to their official website. There’s so many films I could’ve included in this post, but I wanted to keep my list short and snappy. Fingers crossed at least one of these makes it. Hopefully you get “The Imposter”. I saw it at the Miami International Film Festival and already called it the best documentary of the year.